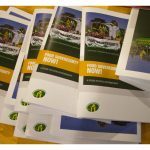 In the following publication, the European Coordination Via Campesina delivers a thorough account of the concept of Food Sovereignty, an approach and process developed by the people most threatened by the processes of the consolidation of power in food and agricultural systems: peasant farmers. Instead of being destroyed by the forces of history they are offering a proposal to solve the multiple crises which humanity is facing. Food Sovereignty emerged as a response and alternative to the model of corporate globalization. As such, it is Internationalist in character, and provides a framework for understanding and transforming international governance around food and agriculture. You can find the complete publication here.